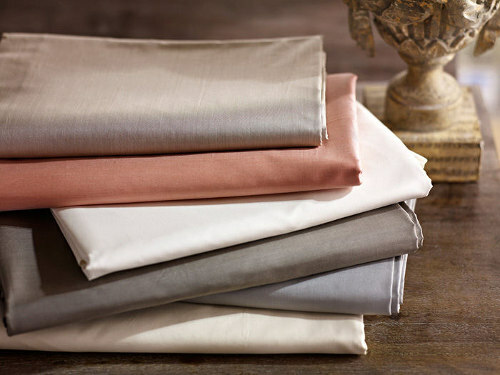 The SDH Capri sheet collection is a 465 thread count 100% Egyptian cotton percale. Available in 13 luscious colors, the collection is designed to coordinate wonderfully as a basic across all SDH bedding ensembles. 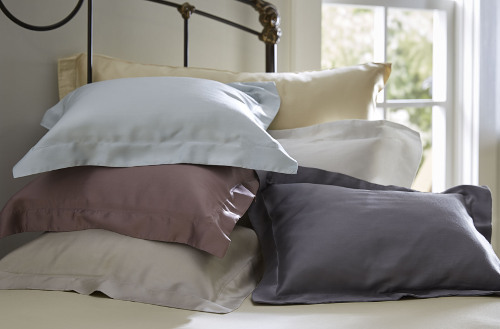 You’ll appreciate the cool, crisp feel and easy care of percale. You won’t believe how luxuriously soft SDH Legna bed sheets feel against the skin. Woven from one of the finest of Europe’s new generation of cellulose yarns, this sumptuous fabric features an inviting luster and soft drape that will spoil you for anything else. Now you have a reason to stay in bed just a little longer. 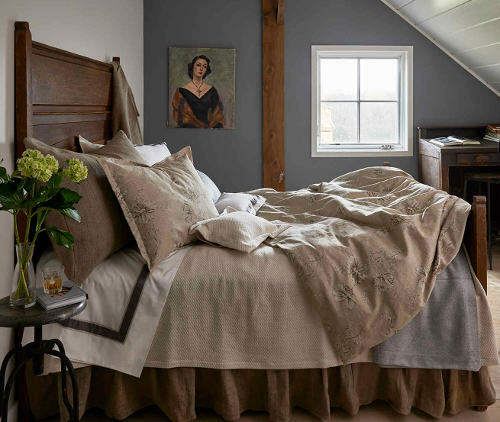 The Shelby bedding collection by Traditions Linens creates an effortless ensemble of traditional floral, crisp percale sheeting, and stone washed accents. A subtle range of color and texture paired with amethysts give this collection everything you’ll need for an elegant bedroom. Sweet dreams! Suri Slate bedding collection by Traditions Linens features gray tones with a misty blue color palette. 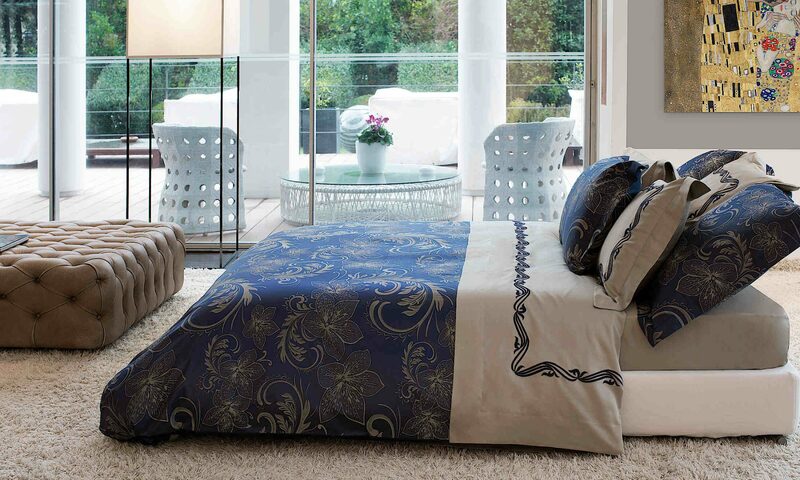 Collection includes the Louisa coverlet and shams and Renata sheet set in coordinating colors. We love the exceptional styling of Traditions Linens!